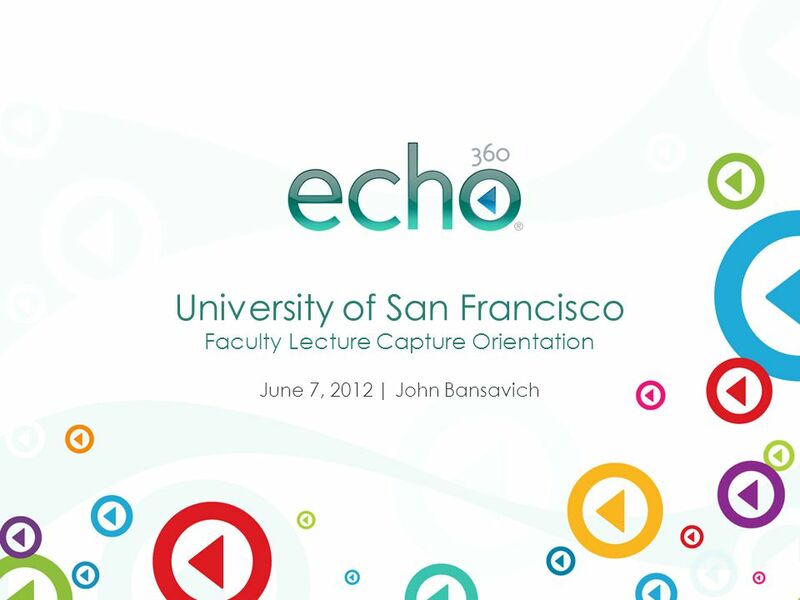 ® University of San Francisco Faculty Lecture Capture Orientation June 7, 2012 | John Bansavich. 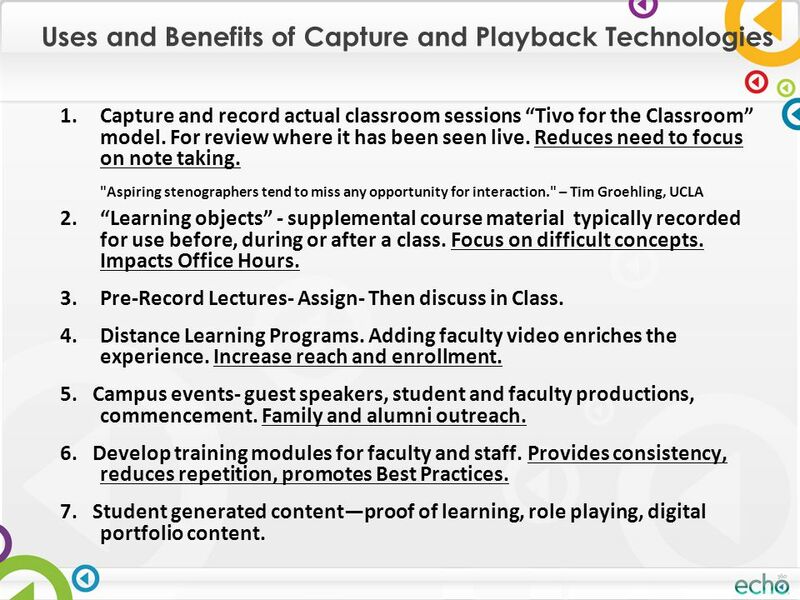 6 Uses and Benefits of Capture and Playback Technologies 1.Capture and record actual classroom sessions “Tivo for the Classroom” model. For review where it has been seen live. 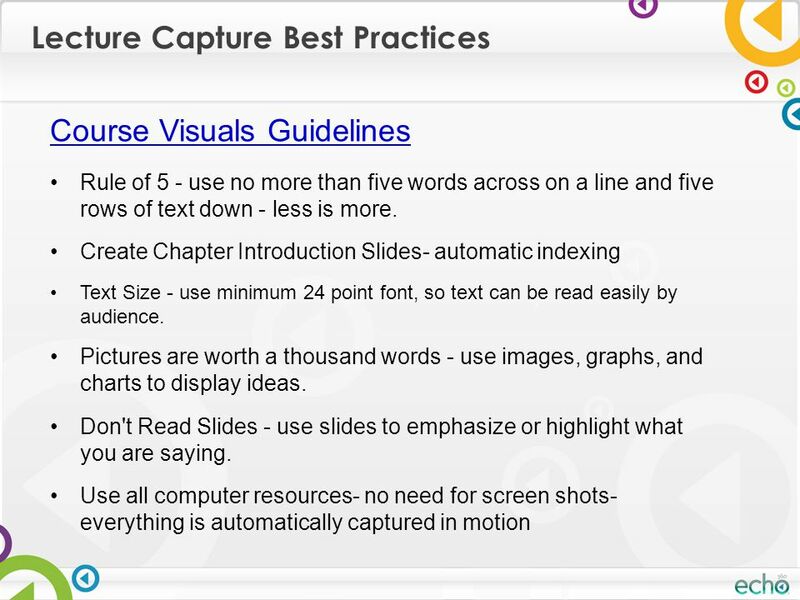 Reduces need to focus on note taking. "Aspiring stenographers tend to miss any opportunity for interaction." 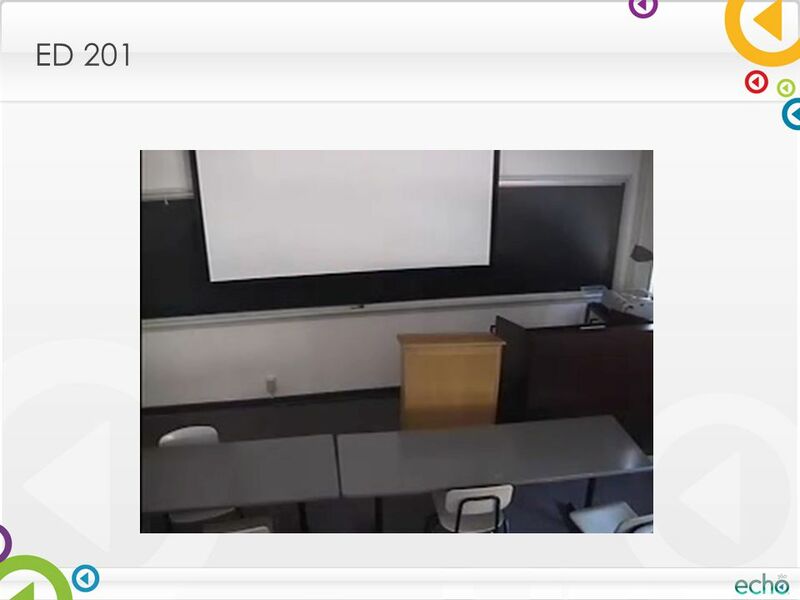 – Tim Groehling, UCLA 2.“Learning objects” - supplemental course material typically recorded for use before, during or after a class. Focus on difficult concepts. Impacts Office Hours. 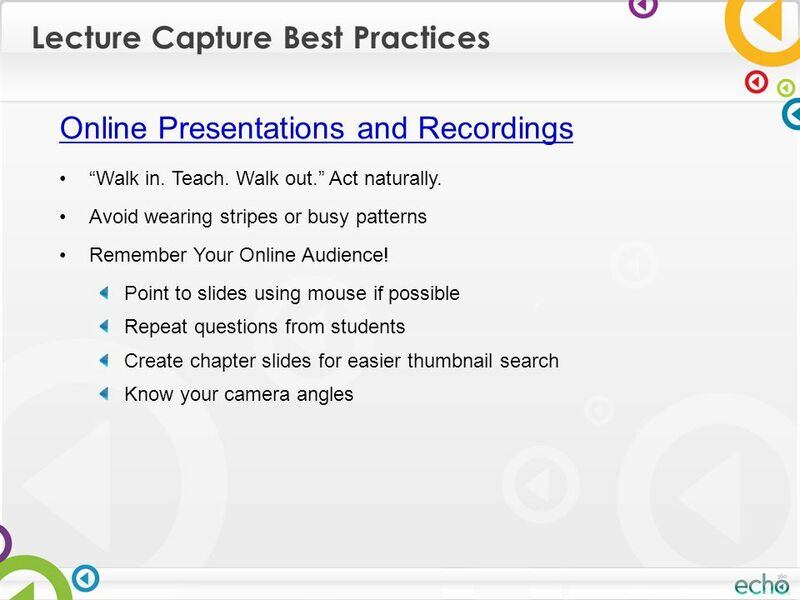 3.Pre-Record Lectures- Assign- Then discuss in Class. 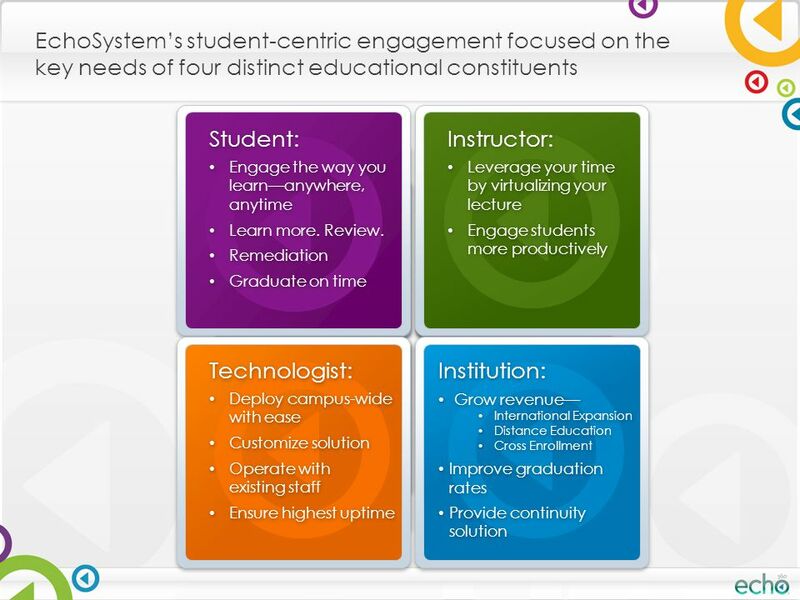 4.Distance Learning Programs. 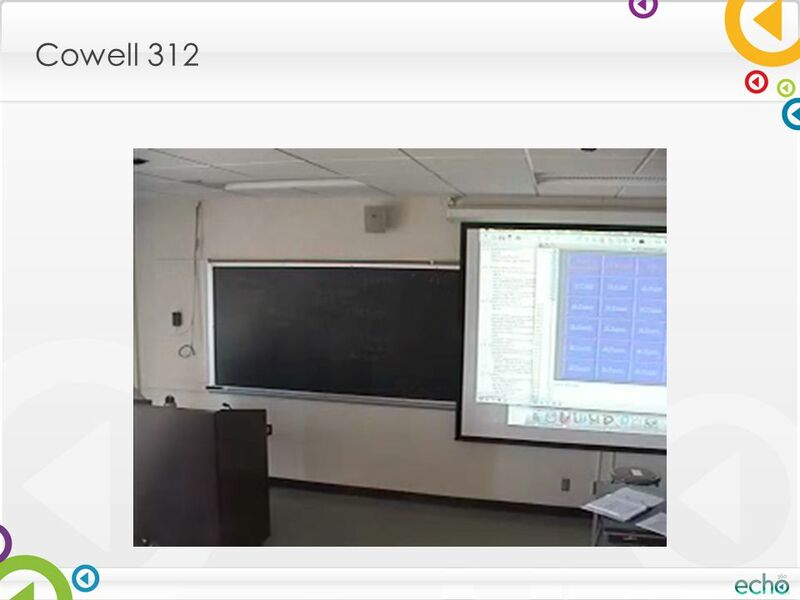 Adding faculty video enriches the experience. 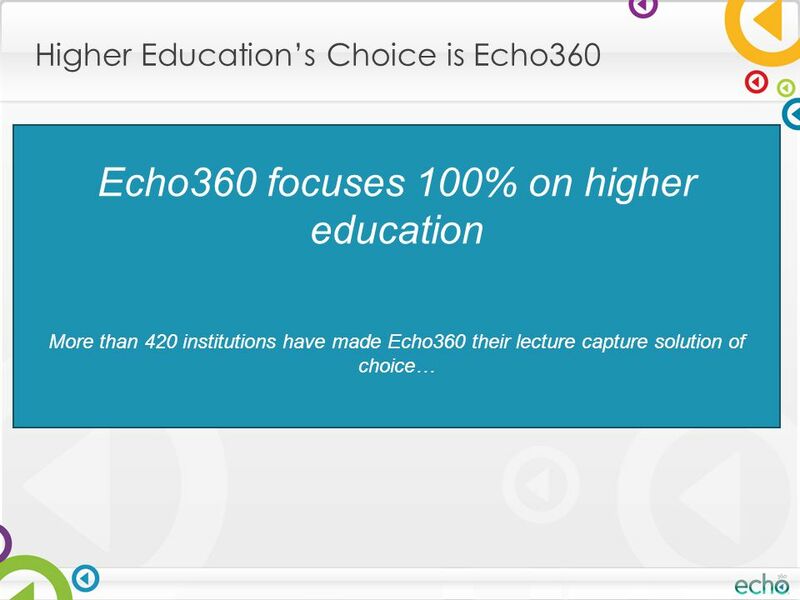 Increase reach and enrollment. 5. Campus events- guest speakers, student and faculty productions, commencement. Family and alumni outreach. 6. 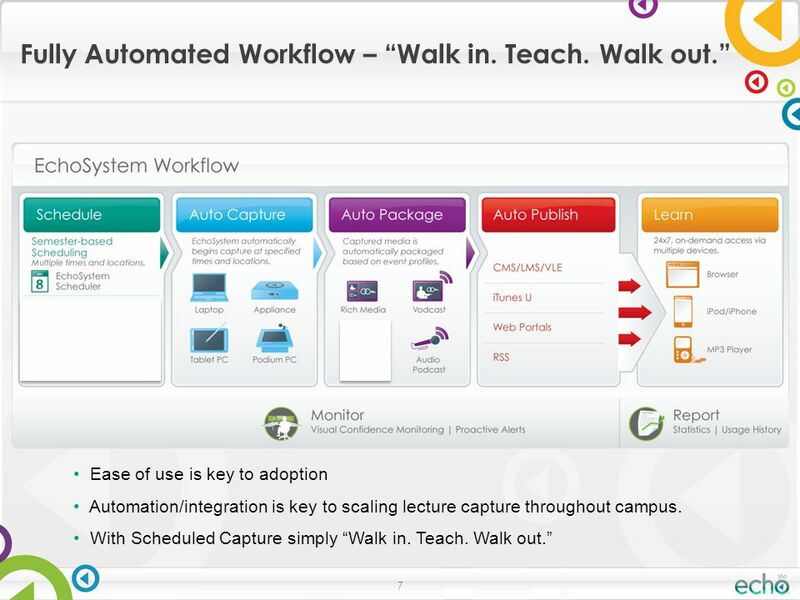 Develop training modules for faculty and staff. 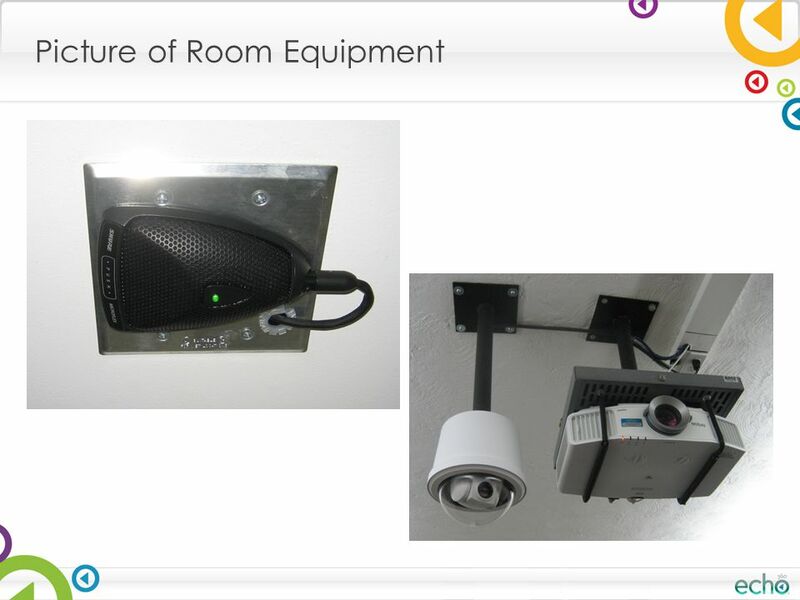 Provides consistency, reduces repetition, promotes Best Practices. 7. 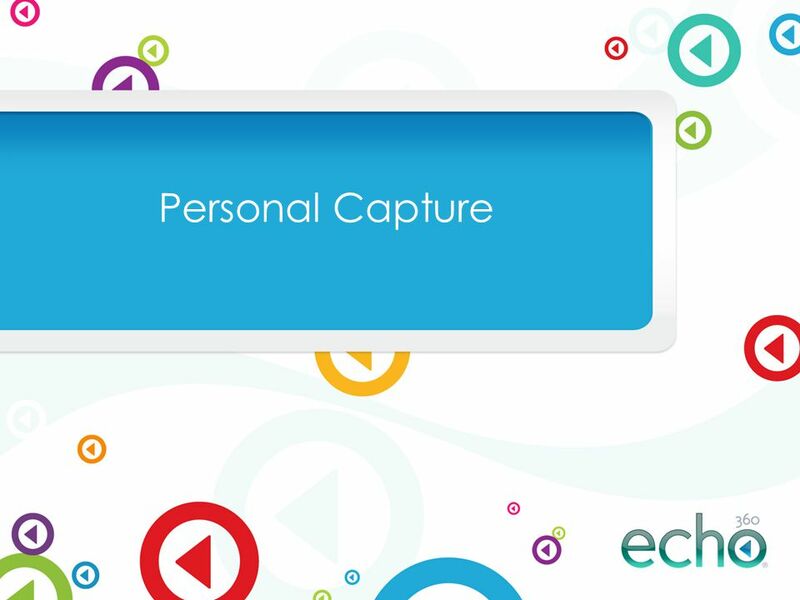 Student generated content—proof of learning, role playing, digital portfolio content. 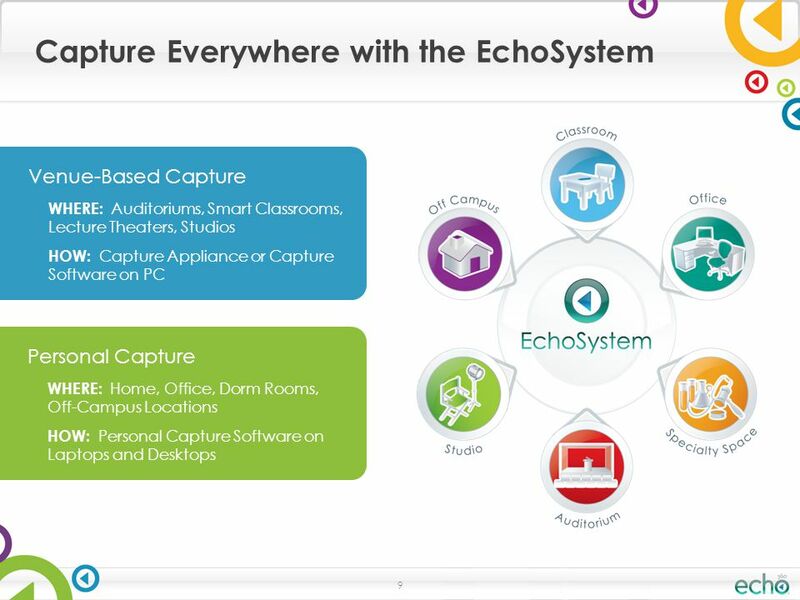 11 Platform that Grows with You From one classroom to 1,000. 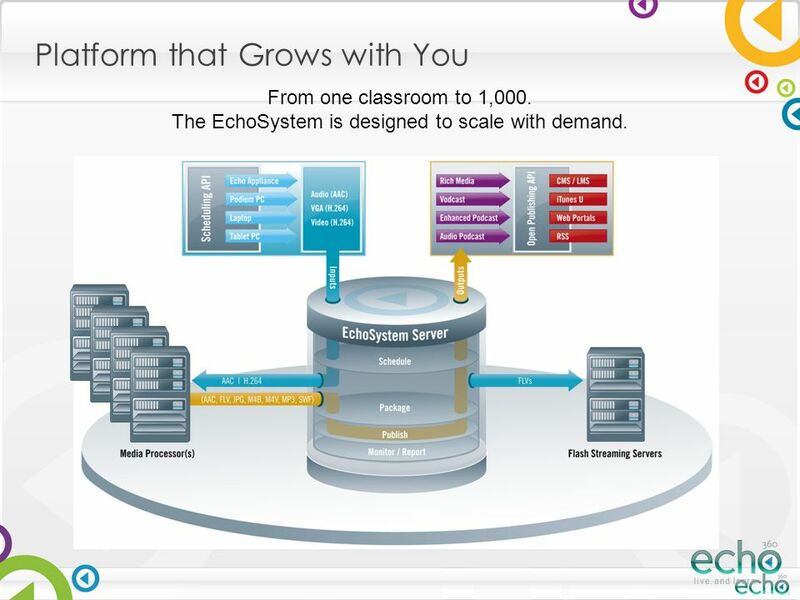 The EchoSystem is designed to scale with demand. 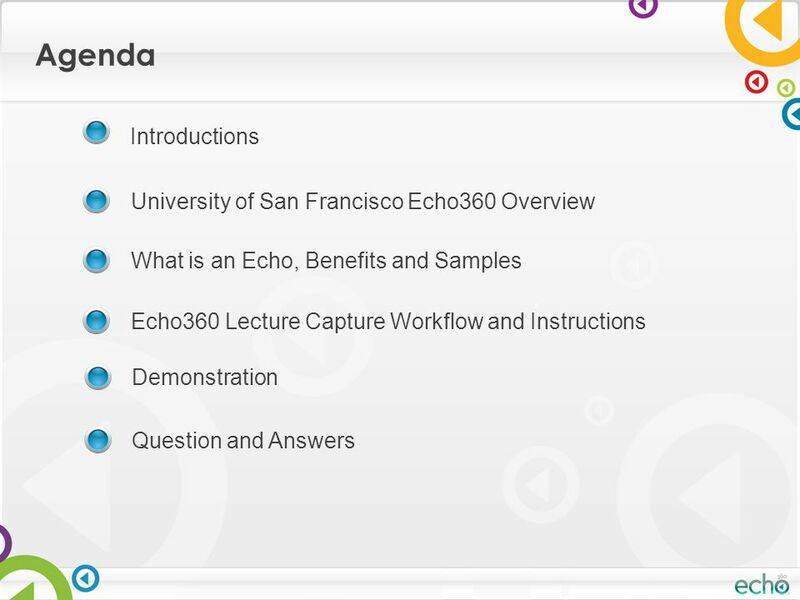 Download ppt "® University of San Francisco Faculty Lecture Capture Orientation June 7, 2012 | John Bansavich." © 2013 Microsoft Corporation. All rights reserved. Schedule a Lync Meeting You can simply schedule an Lync Meeting by using the Outlook add-in for Lync. FACULTY INTRODUCTION FCPS 24-7 Mobile. What is FCPS 24-7 Mobile? 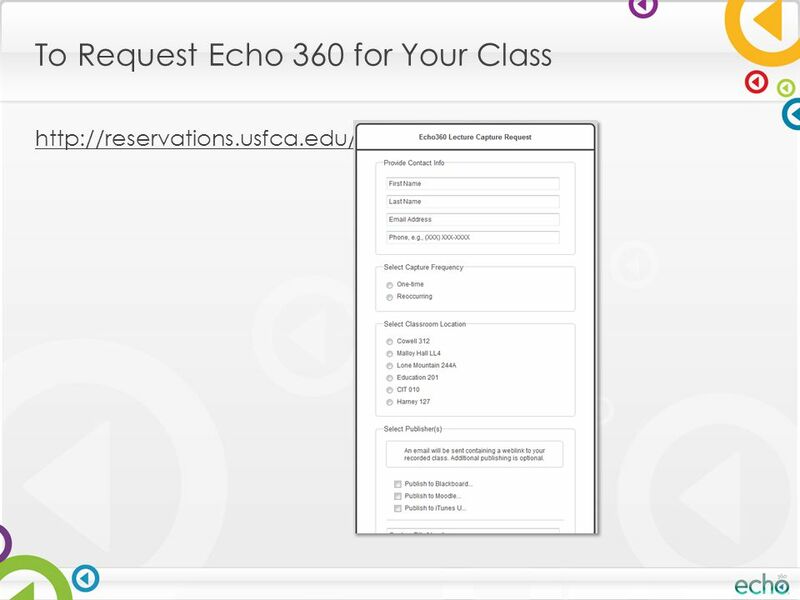 FCPS 24-7 Mobile app allows staff and students to access their enrolled courses on their. 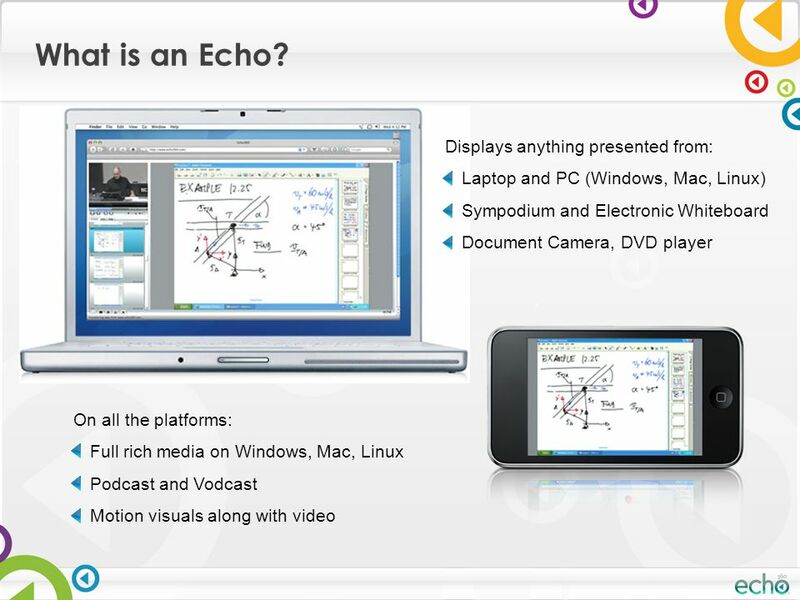 Learning and Technology? That’s a bit rich! Sue Harrison Learning Technology Advisor. Podcasting Create. Deliver. Educate.. What is a Podcast? Audio or video broadcast distributed through the Internet on a subscription basis. Thousands. 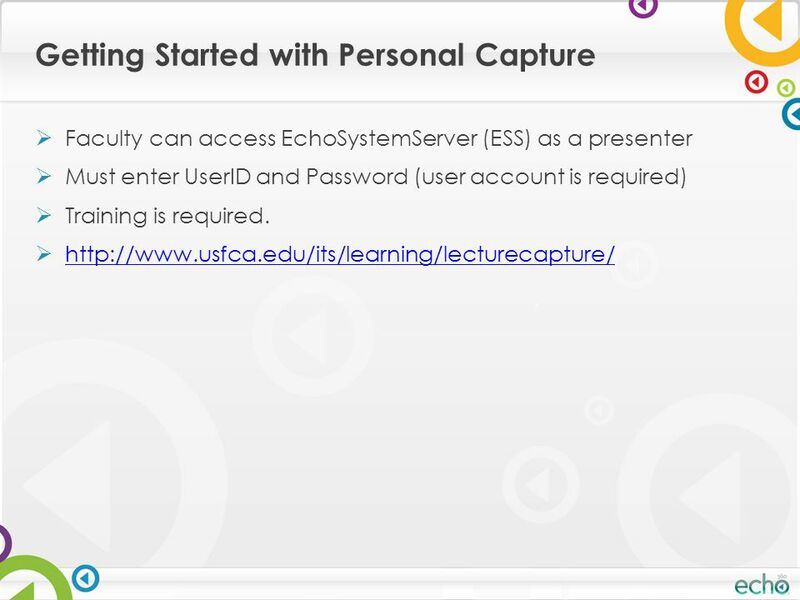 Tegrity Campus Basic Recording & Management. 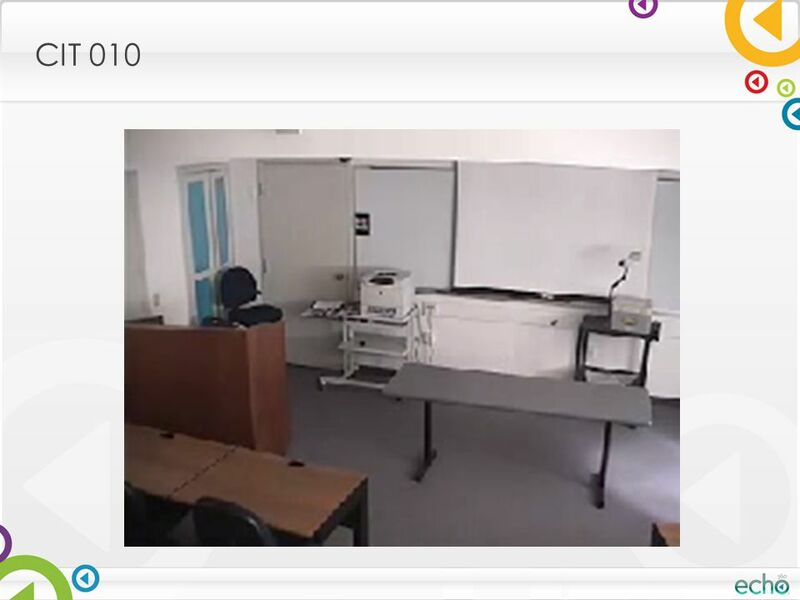 Agenda Tegrity Overview User Interface Review How to Access Tegrity View Recording Basic Recording Basic. UCI Replay “Can you replay that?” Presented by: Kim Gerrard and Frances Tong October 12, 2011. Adobe Acrobat Connect Pro Presented by: Jeff Bohrer and Paul Zenke. 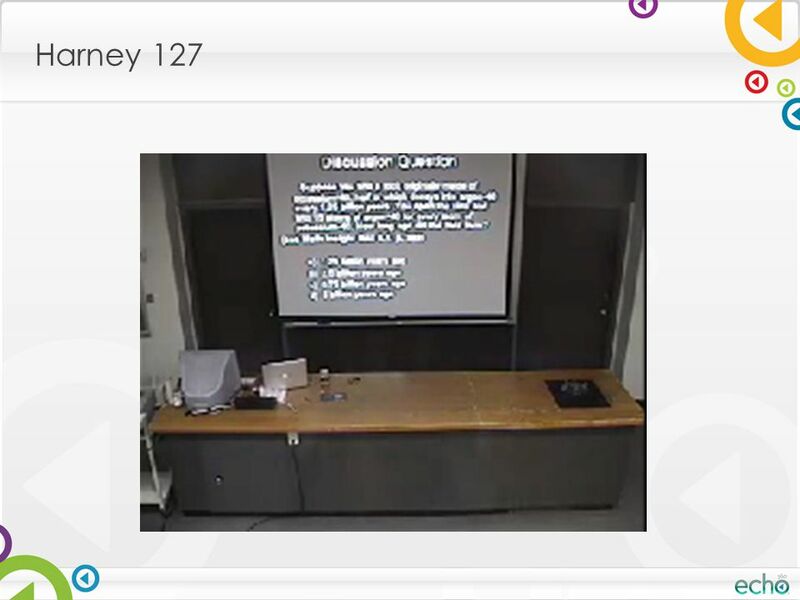 TANDBERG Content Server January Organizational Challenges Corporations have struggled in the past:  Achieving unified communications within a global. 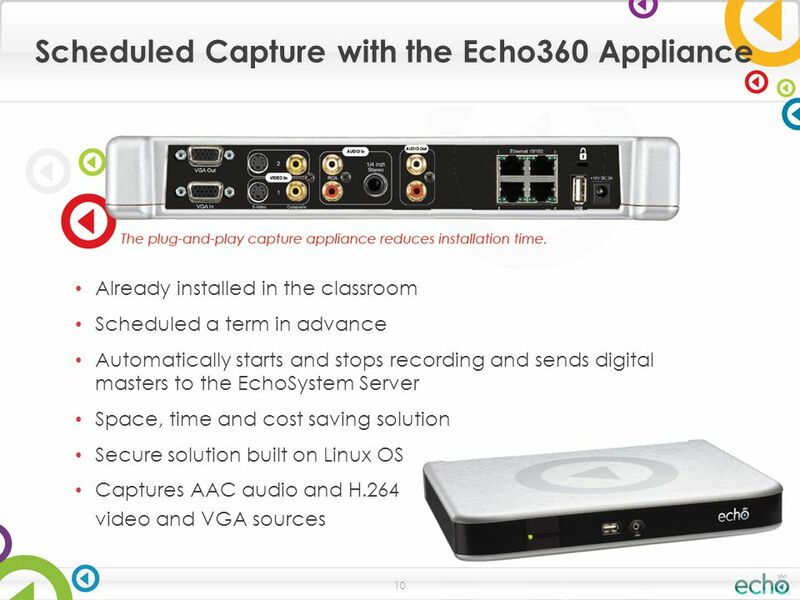 Installing and Using Camtasia Relay Recorder. System Requirements for Windows Microsoft Windows XP (SP3 [32-bit]), Vista [32-bit], or Windows 7 [32-bit. Effective ways to use Wimba Zoaib Mirza MA in Applied Professional Studies. 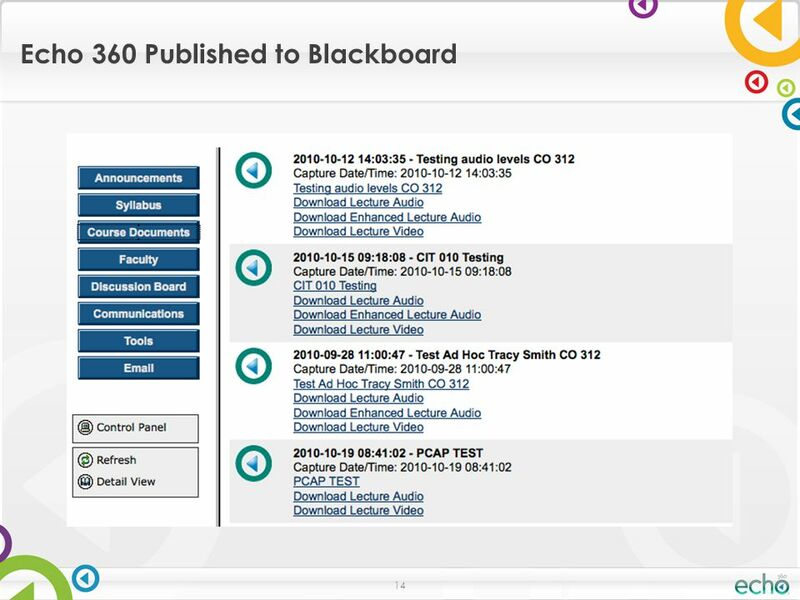 MS in Applied Technologies. MS in Information Systems. Effective. Top 10 Applications & Uses. Help me be more effective. Help make my life easier.